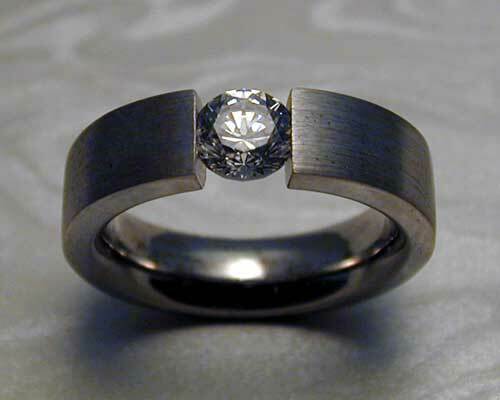 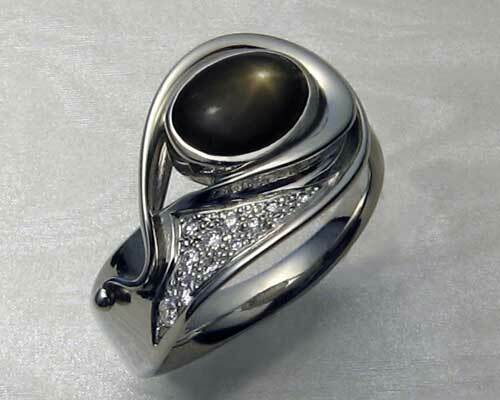 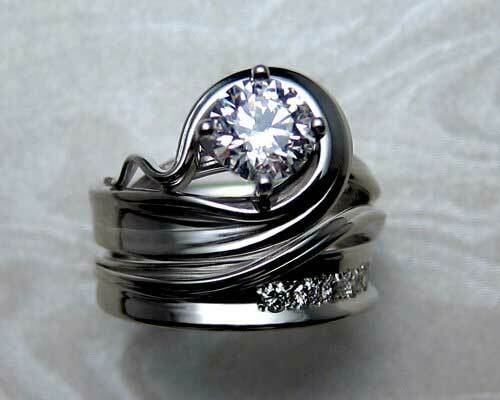 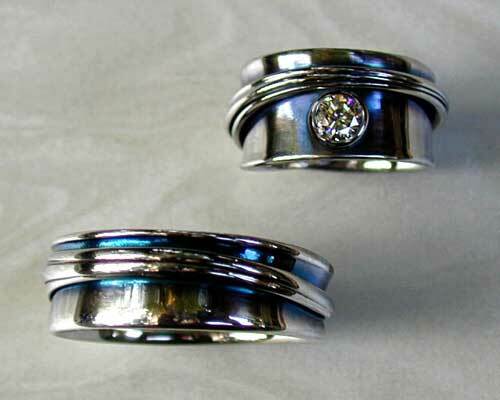 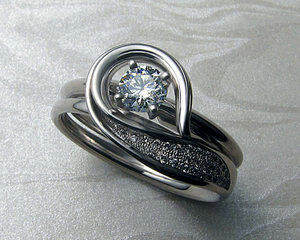 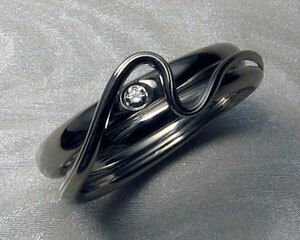 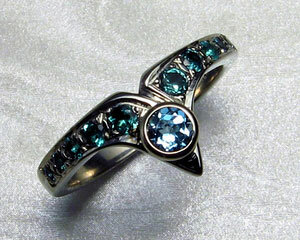 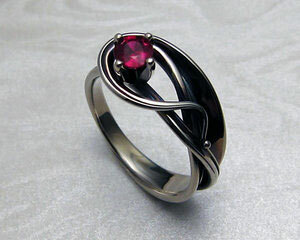 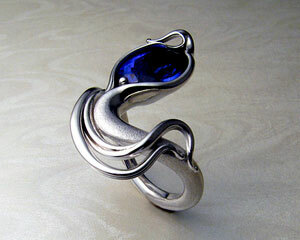 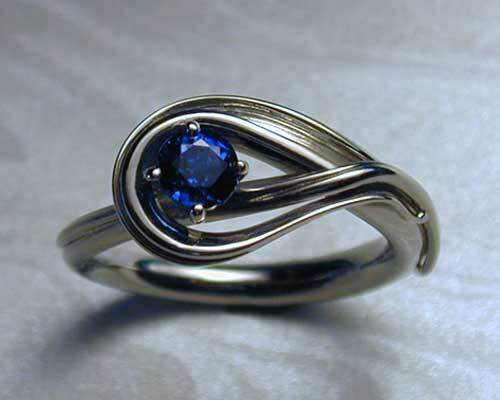 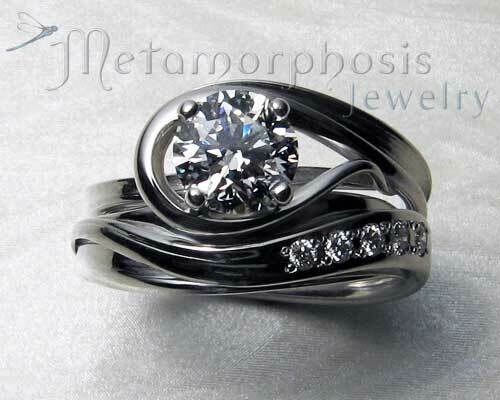 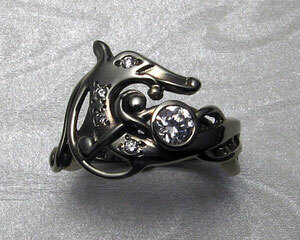 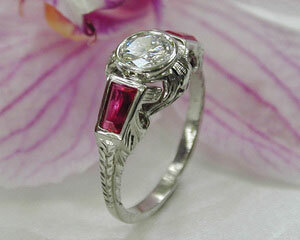 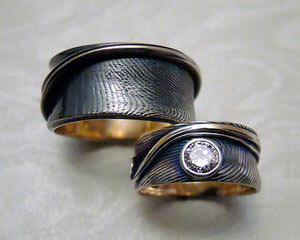 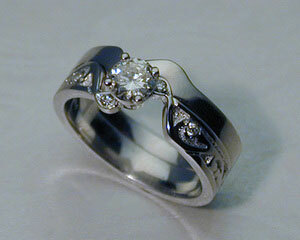 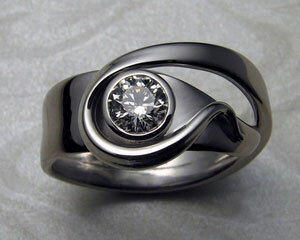 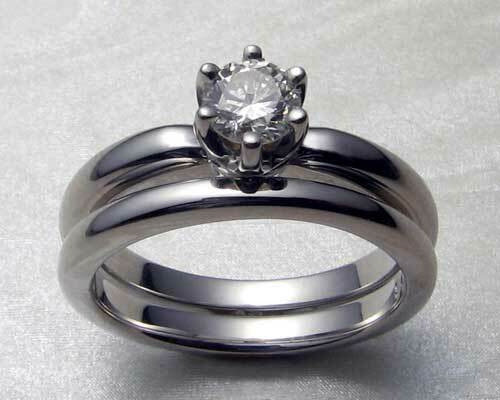 Free-form engagement ring with matching fitted band. 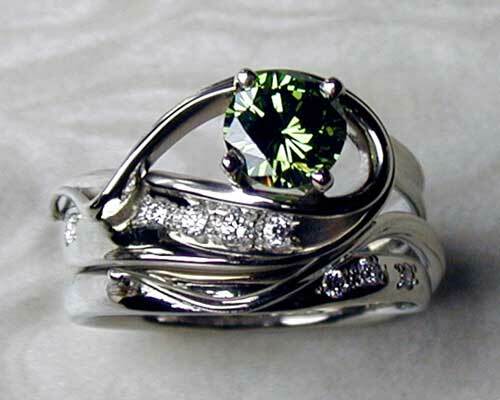 Green diamond set in 4-prong setting, white diamonds bead set. 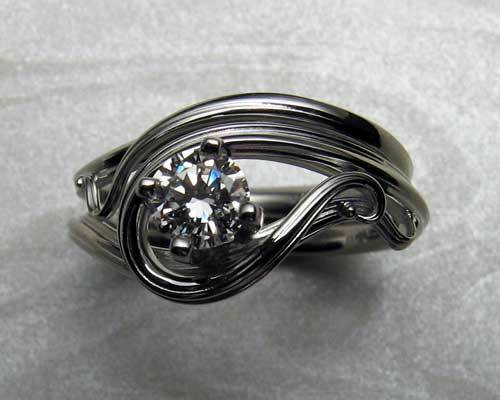 Custom handcrafted in 14k white gold. 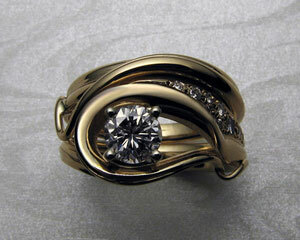 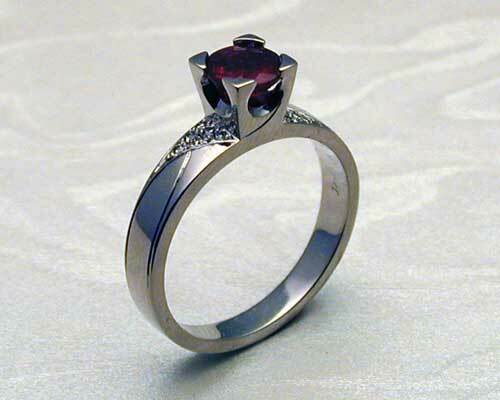 To create a similar look we could work with a stone size of1/2ct to 2ct.